The World Finals pin order form will be available on the website now for those teams that are advancing to World Finals. Teams must log into the website using the blue “Coach Login” button located at the bottom of the page. Username and password are membership number and zip code. REMEMBER ONLY ONE ORDER MAY BE PLACED PER TEAM. Orders are due Tuesday, March 31st by 5 pm. To receive your credit from GA Odyssey you MUST enter your membership number in the coupon code section at checkout. The Competition Schedules have been altered to adjust team performances as necessary due to late team additions and scheduling conflicts that have come up. Please check the Schedule again to be sure of your teams schedule. The Flowery Branch Schedule is considered final now and no further alterations will be made. These should be safe to print for the upcoming competition this weekend. We highly advise that parents print copies of the schedules so they can easily keep up with the competition day! We are well underway with Regional Tournament Registration and teams are registering daily. Check out our 3 step Registration Guide. The regular registration deadline is December 19th! Registration must be complete, Fee’s paid, and a Judge registered by this date to avoid late registration fee’s! Registration Fee’s are $80 through December 19th. Late Registration will be offered through January 7th and will be at a rate of $150. Edit: We have been imformed there is an error on documentation that odysseyofthemind.com sends our for teams registering for the Lilburn Tournament that sends an old document with 2013-2014 information. Please disregard this information and submit payments to the address posted here. The error has been fixed as of 12/2/2014. 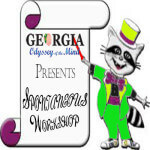 We have 4 Spontaneous Workshop dates and a total of 8 sessions to help as many as possible of our Georgia teams experience a variety of different types of spontaneous problems. *Online registration and deposit is required at time of registration to secure a spot. We have updated the website with some great information on Registering for this season. Membership Registration is open and problems have been released for the 2014-2015 season. If you have an active Membership, you can sign in at odysseyofthemind.com and download all of the problems and the program guide. 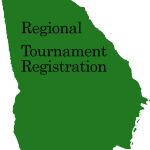 Regional Tournament Registration is now available. Be sure to Register your team for a tournament early just in case we have to close one off due to size limitations. Judges Registration is open and ready to go. All judges should check the latest information we have available and sign up ASAP. Coaches Workshop Information and Registration are up on the website now. Spontaneous Workshop Registration is LIVE As of September 27th. Additional Information on the workshop has been published on the respective page.